This is a brand new champaign coloured satin dress. 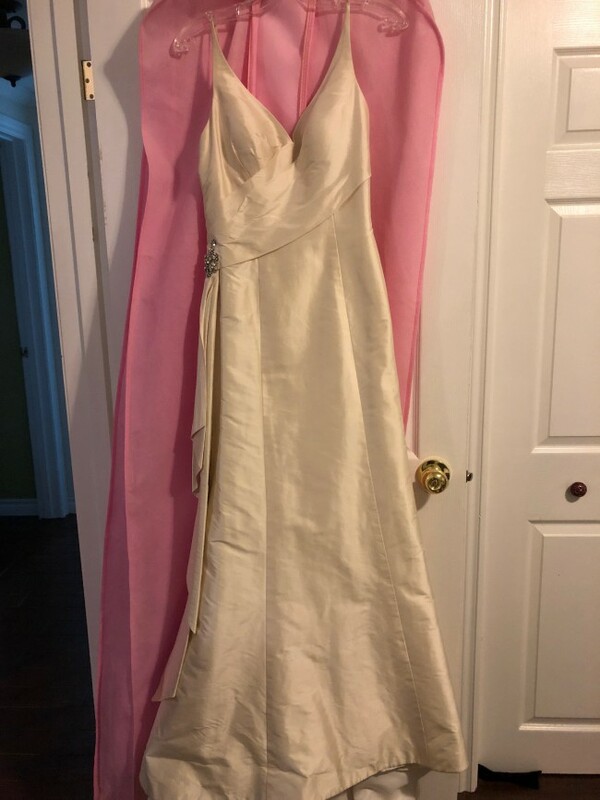 Never worn or altered. It is a very classic and elegant design that reminds me of 1920s Art Deco style. It has a very small train at the back. The rhinestones up the back add sparkle to this elegant design. The design is very flattering and curve-fitting. There is one rhinestone missing from the decal at the waist embellishment (shown in pics) but it can be easily replaced. I love, love, love this dress but sadly it didn't fit me so I was unable to use it for my wedding. I'm hoping someone will love it as much as I do!